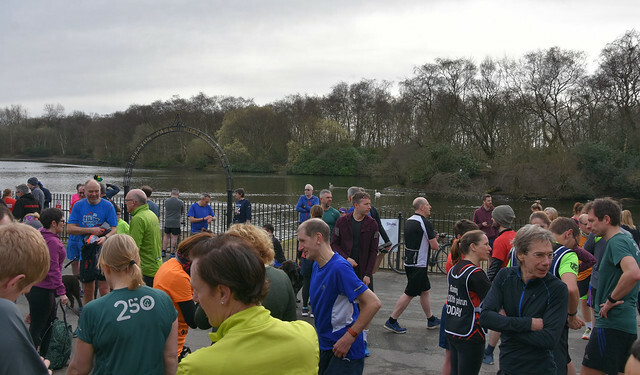 Following a week's enforced absence, Heaton parkrun was back with another bumper turnout nudging towards the 900 mark again. 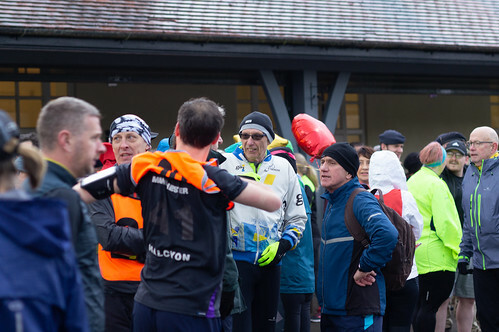 In a crowd of that size it's inevitable that there would be lots of all the things that we love about parkrun - first timers, milestone runs, PBs and a great bunch of happy, smiling volunteers. Of our 877 finishers there were 87 names on the result list for the first time. 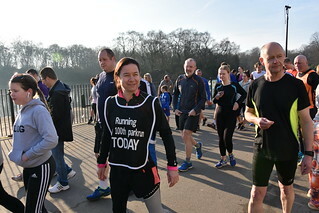 40 were brand new parkrunners, having their first experience of our strangely addictive Saturday morning event. They'll be back!! 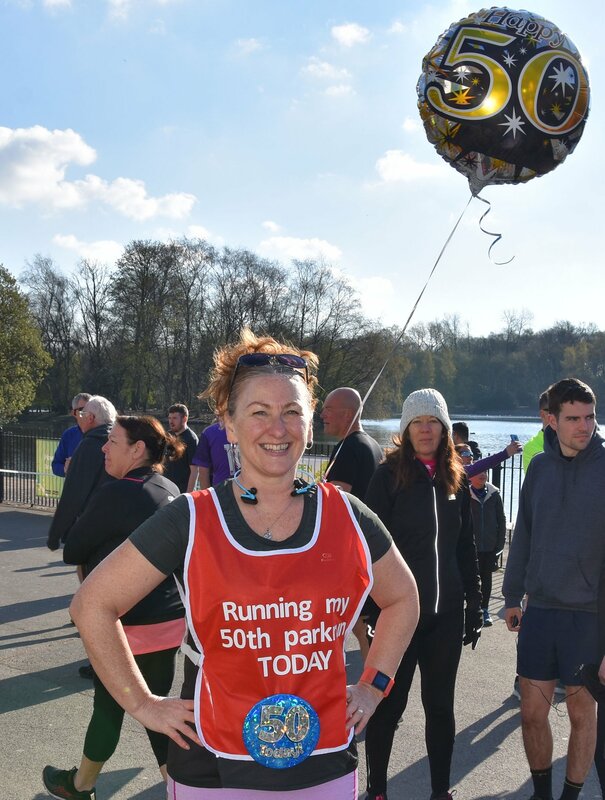 The other 47 were all visiting from other events, including Avril PARKER-JONES who has been parkrunning since December 2016, mainly at her home run in Telford. 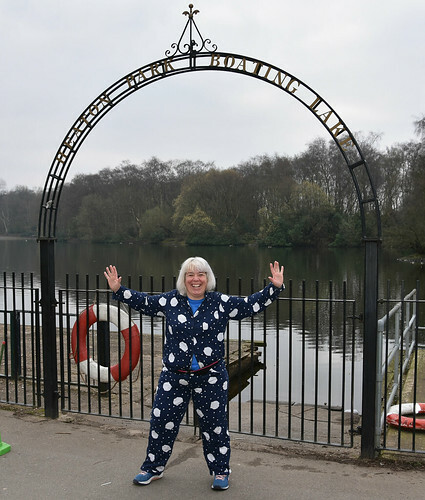 Avril's 83rd run brought her to Heaton and she asked whether she could contribute a run report. 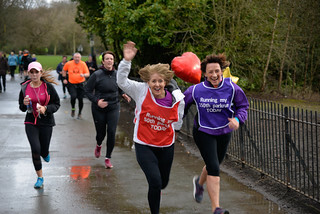 We're more than happy with that, so here's Avril's view of Heaton parkrun.
" 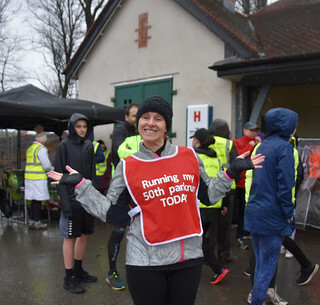 First of all I would like to congratulate all those who took on the Manchester marathon last weekend including Amy Aldridge who was run directing at my home parkrun in Telford today. I'm up in Manchester visiting a friend and this is only my 6th tourist run and 1st city parkrun. Kirsty and I took a short tram ride from Victoria to Heaton Park and soon found the gathering group of volunteers outside the Pavilion cafe. I introduced myself to the run director who introduced me to Duncan the regular run reporter. I was also shown the rail of running bibs for every occasion from birthdays to milestones and the tourist one I got to wear. These are a lovely touch and something I had not seen before. As the number of people gathering started to increase we were called over to the first timers briefing. It turned out there were 44 other tourists and 39 1st timers, the briefing was detailed and the course clearly explained. We then headed over to the start and in total there were 877 runners, joggers and walkers - the biggest parkrun I had taken part in so far. 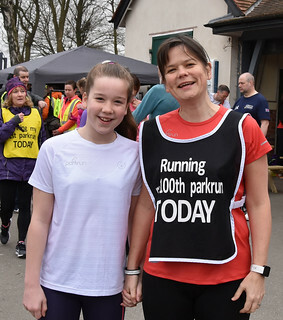 There were 15 milestones, who all got their shout-out including juniors Sophie and Lucy Kyle, who had reached ten - well done both. Also a special birthday mention to photographer Paul. Before we knew it we were off. 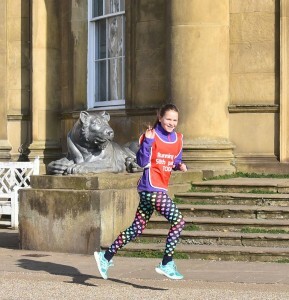 The route was very scenic, highlights included running through the tree canopy, passing Heaton Hall, going around the boating lake and passing the donkeys!! There is a hill up to Heaton Hall, known as 'angina' hill and having a 'slope of opportunity' at the end of my home run I was ready for this, there is a lovely view of the city once you reach the top. I am part of an online running community known as the Lonely Goat Running Club so it was lovely to see 4 other goats; Jeff Dawson, Maria Walsh, Craig Brooks and Henk Penning. Well done to Maria and Craig who got themselves a new PB in fact there were over 130 new PBs today so well done to all! The finish funnel was the longest I'd been through but extremely well managed by the funnel managers. There were a total of 59 volunteers today and they were all very friendly and welcoming. 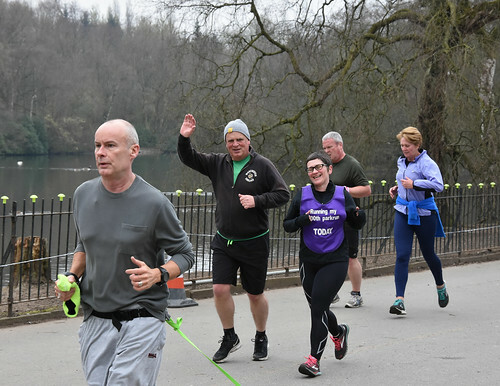 I love volunteering as much as the running and if you haven't given it a go yet then I really recommend it and you get an awesome purple t-shirt once you have done 25. 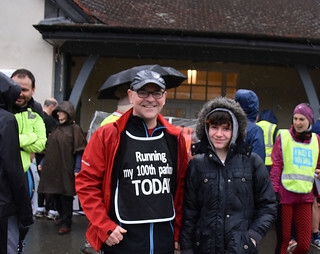 Just ahead of me in the finish funnel were Jemma and Nick Hewitt; Jemma had reached her 100 milestone whilst Nick was wearing the 200 parkrun bib, great work and well done both. Once finished there is the opportunity to have a drink, bite to eat and socialise in the cafe, we also stayed a little longer in the park to get some photos and say hello to the animals!! 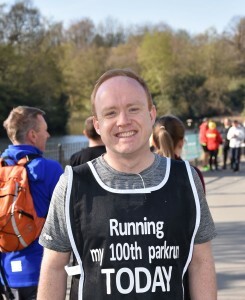 Overall a very enjoyable parkrun, which I will hopefully be coming back to in the future. Thanks again to Duncan for allowing me to be guest run reporter this week. Thanks very much to Avril for her contribution. 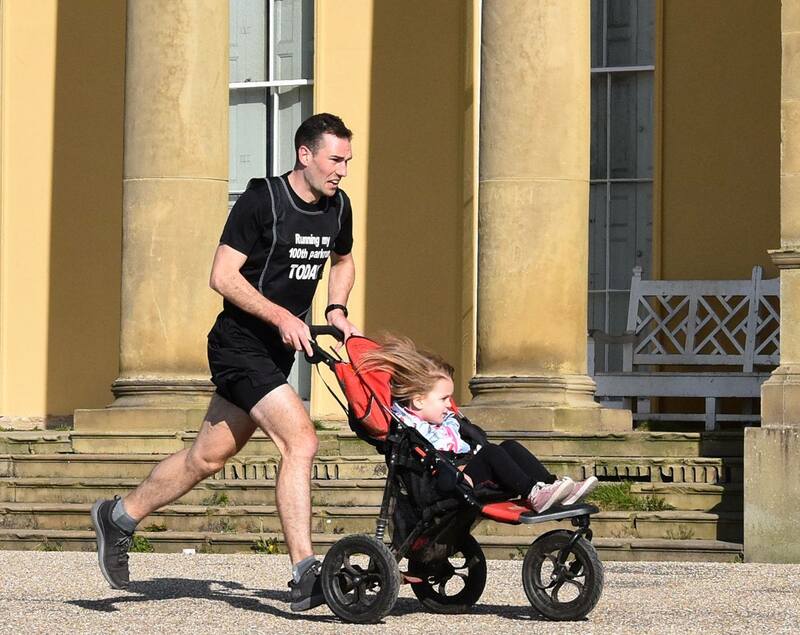 I'd love to hear other people's experiences of Heaton parkrun, particularly what brought you to us in the first place, what you love (or even hate) about the event and how it has changed your Saturday mornings. If you'd like to give it a go just include your thoughts on an email and send it to me at duncanshutt@yahoo.co.uk and I'll be happy to include your contribution in the weekly news. There were indeed many special runs to applaud this week, with a couple of family celebrations thrown in for good measure. We had not one but two runners reaching the 350 mark. Dave PEART made his 35th visit from his regular home at Oldham and Anna MCENTEGGART marked over 9 years of regular attendance at Heaton with a lap of honour accompanied by husband Alan and the dogs! Huge congratulations go to all of you on your special achievements. 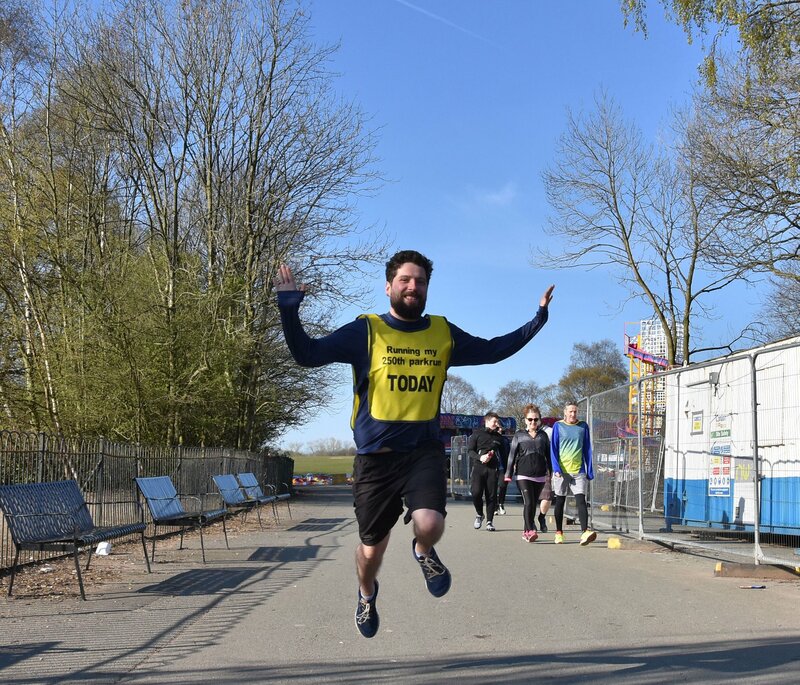 Our other PB Corner heroes are: Jemma HEWITT, Gary NESBIT, Rob ENGLAND, Jayne JACKSON, Harry BALLANTYNE, Paul GARDNER, Kate METCALFE, Louise GORTON, Alex YUSUF, Catherine VANERIS, John FISHER, George PETERS, Alan LACEY, Adam STIRLING, Ricki DUNNING, Neil SWAN and Conor WILKINSON. 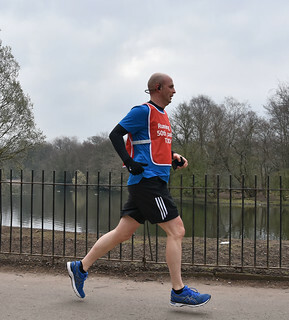 Ben COOP of Bury AC was first over the line in 16:12, followed by Prestwich AC's Paul SAVAGE who earned the highest male age-grade of the day (81.04%) with his time of 17:14. 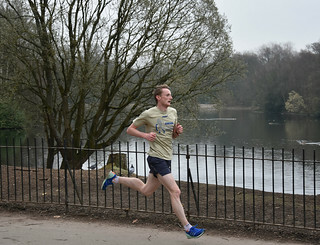 Joshua DUTTON of Salford Harriers completed the top three in 17:19. First time visitor Hayley SIMPSON of East Cheshire Harriers was first lady home in 20:08, with Bury AC's Katie GEELAN not far behind in 20:13 on her 67th appearance. 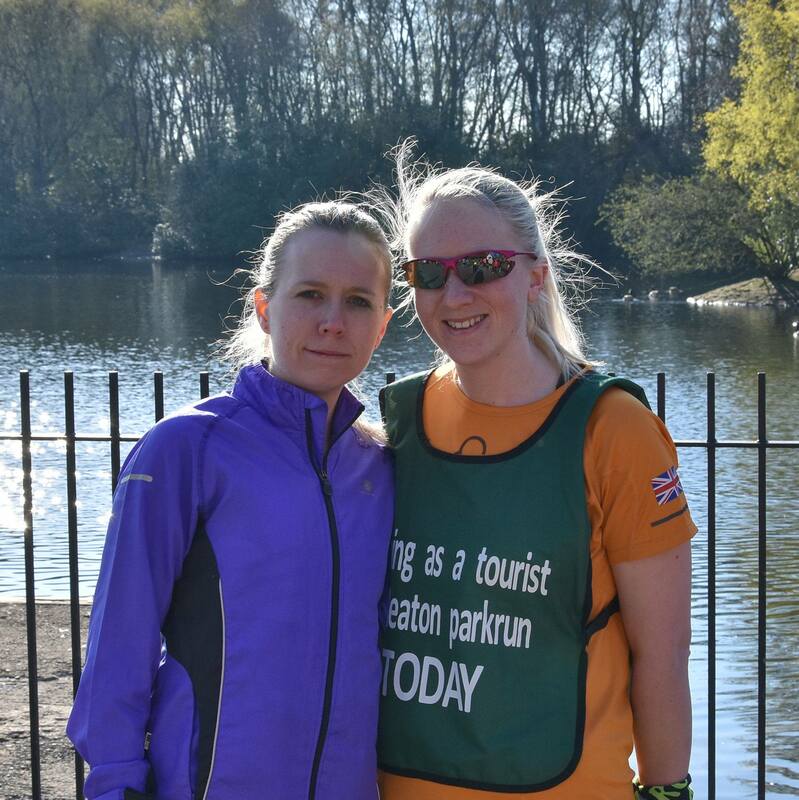 Jen HATCH's 353rd parkrun (20 at Heaton) brought her a third place finish in 20:32. 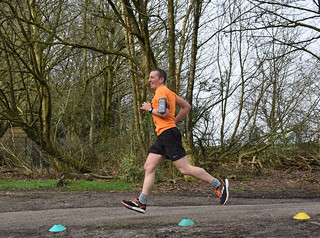 VW70-74 runner Christine ECKERSLEY of Middleton Harriers was our highest age-graded finisher with 83.63% for her time of 28:00. We had 60 names on the roster this week and they were all busy! Congratulations go to John ATKINSON who completed his 25th volunteering stint and qualifies for the purple 25 shirt. John has been coming to Heaton since January 2016 and has completed 119 runs as well as helping out in the roles of Marshal, Funnel Manager and Pacer. Huge thanks to all our volunteers this week and every week. 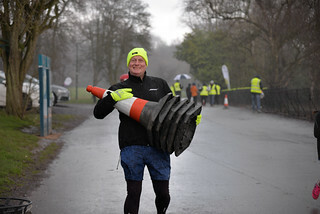 If you would like to help us out please email heatonhelpers@parkrun.com and we'd be delighted to add you to our list. It's just a couple of weeks until our Quiz Night so it's time to get your teams together and let us know who's coming. Entry is £10 per team with up to 6 people allowed per team. Entry forms are available at the registration gazebo on Saturday morning and all proceeds from the evening will go to the fundraising for Jim's Bench. The Quiz, which we are putting on in collaboration with Prestwich AC, will be a fun night for all ages with prizes, a raffle and a bar. We hope to see you there! You don't need me to tell you it's Easter this weekend. 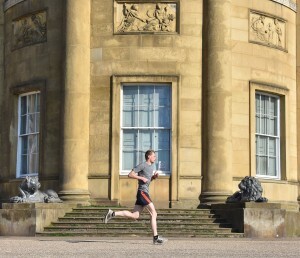 Most of the population seems to be on the move but you only need to come to Heaton parkrun for your Easter fun. 5K egg and spoon run anybody? The park management have very kindly donated some eggs so if anybody would like to have a go at completing an egg and spoon parkrun just bring your own dessert spoon. We believe the World Record stands at about 25 minutes, so there's a challenge!! There are bound to be some chocolate treats alongside the sweetie tin and I'm sure there will be cake....there's always cake! The weather forecast looks cracking so get the whole clan together and come and see us at the lakeside. See you there!! PS: Apologies for the layout of the report this week. I know it looks scruffy, but I am a child of the 50s and no technical wizard. This always seems to happen when I copy and paste material in from another source. Also, we had a problem with photos this week, so again I've had to copy them in a different way. Let's hope normal service will resume next time (or somebody else takes over!!). 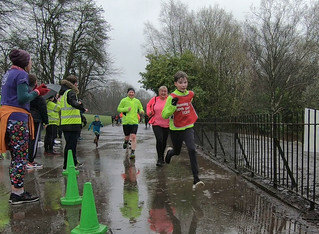 Another week with fine running conditions brought parkrunners new and old flooding into Heaton Park last Saturday. 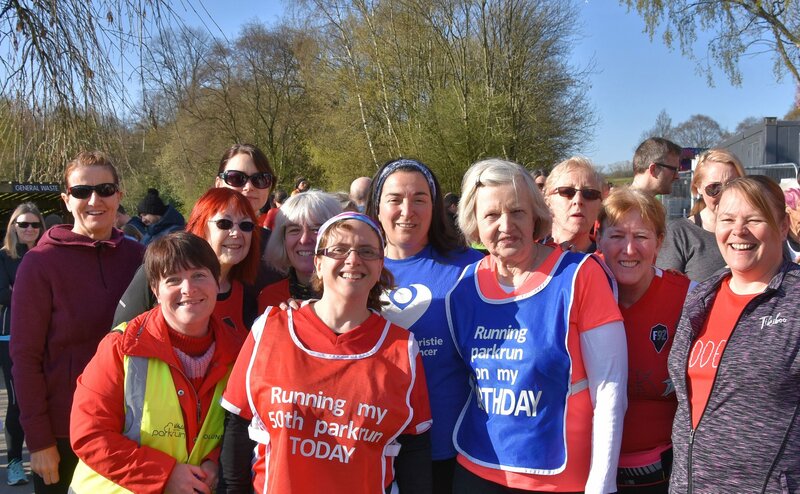 With 864 finishers we were officially the 5th largest of 599 parkrun events in the UK, behind only Bushy Park, Southampton, Cannon Hill and Milton Keynes. It was also our 7th biggest turnout of all time at Heaton. Curiously, Ben COOP of Bury AC has been first finisher at 3 of those 7 events, even though he has run just 16 times at Heaton. The big crowds obviously suit him as he finished in a time of 16:07, with the day's highest age grading of 80.04% as a little bonus. Prestwich AC's Rob MILLS clocked a 16 second PB in his 99th parkrun as he crossed the line 2nd in 17:04, with Nathan HILDITCH of Bury AC also claiming a 22 second improvement with 17:15 for 3rd place. First female finisher and in 5th place overall was Laura HESKETH of Clayton-le-Moors Harriers in 17:22, one of the quickest female performances ever at Heaton and certainly enough to gain the best age-grading of the day with 86.08%. Sarah THOMAS was next home in 20:17 with Abigail WARBURTON running a close 3rd in 20:24. 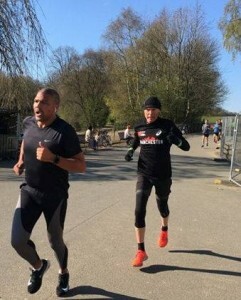 The Personal Best performances by our leading men were the first of 153 new PBs throughout the field, with 35 going to parkrunners with 20 or more appearances at Heaton. 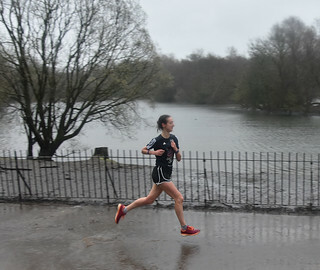 John FISHER took another 13 seconds off to continue a run of 3 consecutive PBs that began in the deluge a couple of weeks ago, whilst Angela FISHER returned for her first Heaton run since October 2016 and promptly knocked over 3 minutes off her previous best. Rob MILLS, Martin GREENWOOD, Dan COTTLE, Leon WINT, Grant MYNOTT, Michael BARON, Alan SNELSON, Mark BAILEY, Paul DAVENPORT, Lewis WHITTAKER, Philip GERRARD, Chris BROGAN, Richard PARKINSON, Colin SAUNDERS, Paul EVANS, Matt MORLEY, Naomi JACKSON, Nicola STRAPPS, Carol ROGERS, Sarah POWNALL, Satnam SANGHA, Pauline McGOWAN, Paula BIRMINGHAM, Alison HILL, Joanne CONCHIE, Megan WALSH, Billy HILTON, Siobhan COWARD, Alfie HILTON, Mary ENGLAND, Carole PARKER, Alexander EASTON and Lorraine Ann WILLIAMS. Congratulations to everybody who improved their previous best time this week. We recorded 102 first timers at Heaton this week, possibly only the second time that total has gone into three figures. 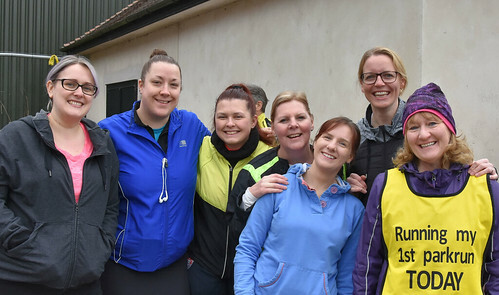 There were 58 parkrun debutants, who included the graduating Couch to 5K group from the Hive Health Centre, Middleton, under the watchful eye of Dr Louise THOMPSON. 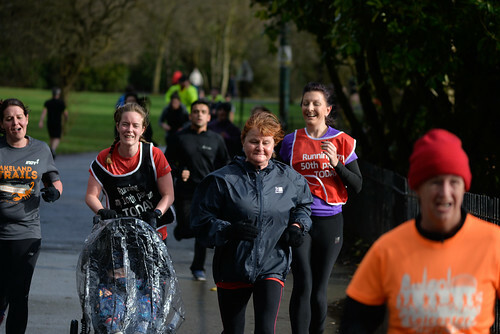 It certainly looks as though Louise will be prescribing more of the parkrun treatment if these happy smiles are anything to go by. Our 44 first time visitors from other parts of the world included the HURST family from Pennington Flash. 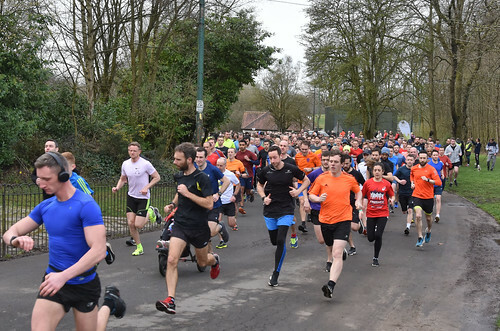 Joe LANGHAM of Hinckley Running Club and Gaye ELING of Driffield Striders brought the number of running organisations to have been represented at Heaton to a mammoth 767. 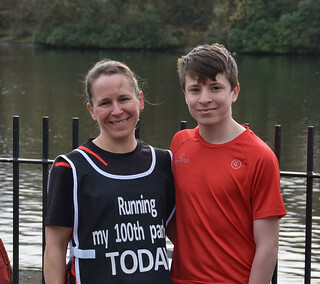 10 Club (Junior runners only) - well done to Charlie THAIR, who has run all his 10 at Heaton since January and now can claim his white 10 shirt. 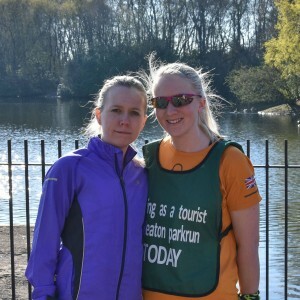 Elaine EARDLEY made her parkrun debut at Heaton in November 2012 but has run only 5 times with us. 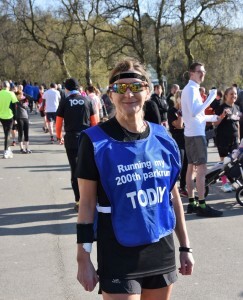 There have been 55 appearances at Bolton and trips to 31 other venues, but Elaine returned to where it all started to claim her black 100 shirt and added a 17 second PB for good measure! 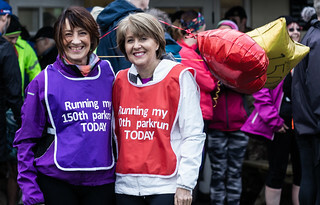 150th run - well done to Louise WARWICK on reaching the 150 mark with her 122nd run at Heaton. 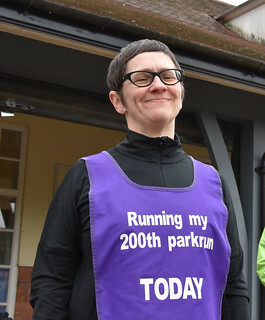 Since February 2015 Louise has clocked up 17 PBs, visits to 25 other parkruns and 16 volunteering stints. 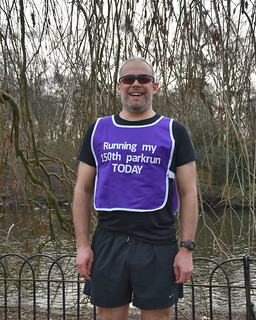 Oakwell Hall regular Stuart EAKIN also celebrated his 150th run on his first visit to Heaton. 200th run - Charlotte BRETT made it to the 200 milestone with her 185th run at Heaton. 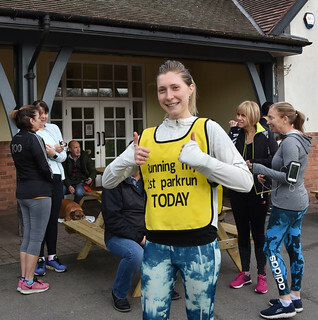 Since her debut in February 2012, Charlotte has collected 30 PBs and volunteered 25 times as well as travelling to 12 other parkruns. If you have a milestone run coming up make sure you tell us so we can give you a shout out before the run. Why not wear one of our celebratory bibs as well? Also wearing bibs are our fabulous volunteers and there were 59 names on the roster this week. We really can't put on parkrun without volunteers so a huge thank-you to everybody who helps, but especially those who are there regularly. We don't expect anybody to volunteer every week, but it certainly helps when we have experienced people to mix in with those who are new. So if you haven't tried volunteering yet, why not give it a go? 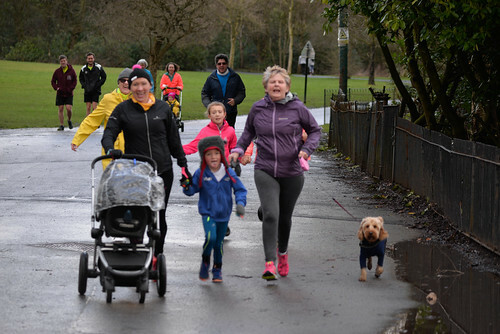 Just send us an email to heatonhelpers@parkrun.com and let us know when you can help and we'll happily welcome you along. 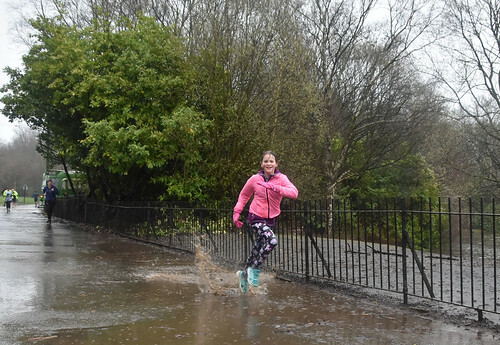 Heaton parkrun is CANCELLED this Saturday 6th April because of the GungHo obstacle race in the park. 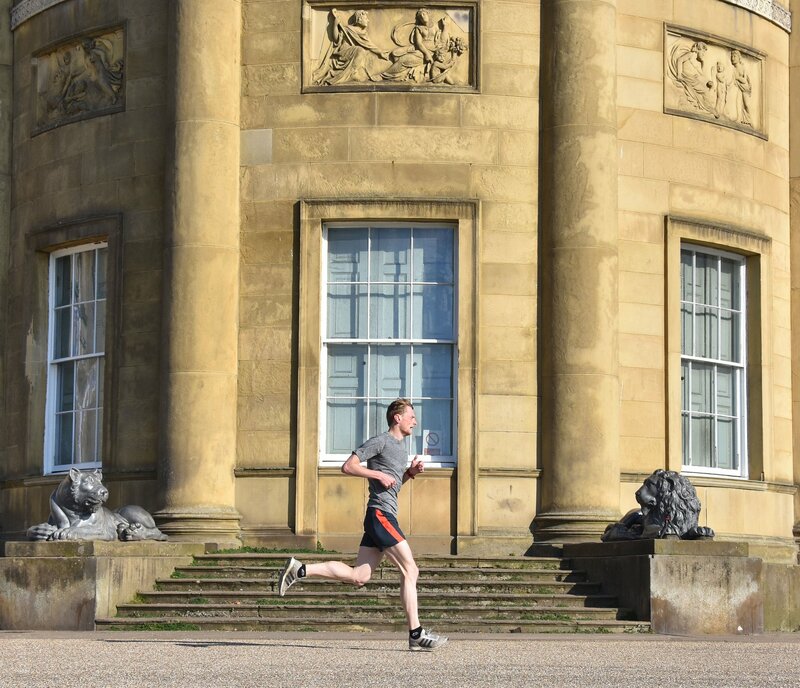 Why not take the opportunity to visit one of the other parkrun events in our area, but note that Bolton is also cancelled. We'll be back on the 13th April, then the following Saturday 20th April is Easter Saturday when there are sure to be a few extra chocolate treats to be had. Why not try your hand at our 5K egg and spoon challenge as well? Look out for more details. As part of the fundraising for Jim's Bench and the charities which he loved we are holding a Quiz Night at Prestwich Cricket Club. £10 entry for teams of up to 6, so get your family and friends together for a fun night. Entry forms will be available at parkrun registration each Saturday morning and entry on the night will also be available. There will also be a raffle on the night. That's all for this week. 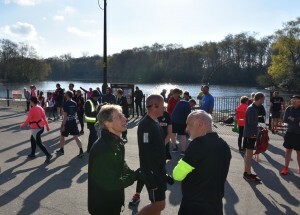 Enjoy your parkrun tourism and we'll see you back at the lake on the 13th. It was back to something resembling normality after the previous week's aqua run, with a revitalised attendance of 789 runners who could concentrate on improving their times rather than their breaststroke!! 138 of you did just that, meaning that PB Corner is full again, and there was a good clutch of celebratory runs too. Before we completely leave last week's monsoon run behind, just an apology for not mentioning the wedding rehearsal that also took place during the run! Crazy I know, But Matt and Chris went ahead in spite of the weather, which I'm sure will be a lot better when they do it for real this Saturday. All the very best wishes from your Heaton parkrun friends. Another 32 parkrun debutants stepped out with us, whilst 26 existing parkrunners visited us for the first time. There were also 39 runners making their 2nd appearance, which suggests at least some of our recent Couch to 5K graduates were back for more. No organised groups this week, but next Saturday we will be delighted to welcome the "Hive Flyers". 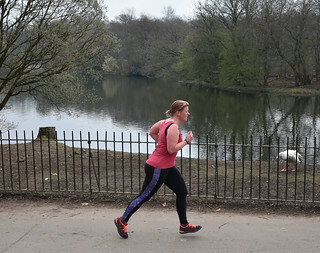 Dr Louise THOMPSON is a Heaton regular who works at the Hive Health Centre in Middleton, so when parkrun UK partnered with the Royal College of General Practitioners (RCGP) last year to promote the health benefits of running she wasted no time in signing up the Hive as a parkrun practice. 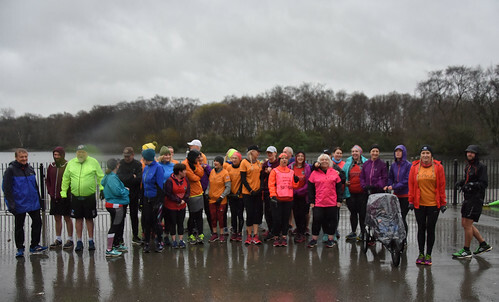 Now, after a 12 week programme, Louise's Couch to 5K runners will be experiencing their first parkrun with us at Heaton and I'm sure they'll get a great welcome. More to come very soon I'm sure. 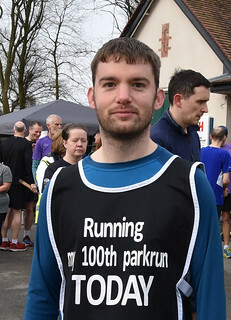 No PB performances from our leading runners, but Ian CARRUTHERS equalled his best time of 16:47 in his 110th run at Heaton as he crossed the line just 3 seconds behind first finisher Byron EDWARDS of Bury AC. Byron's 16:44 gave him an age-grading of 84.76%, best of the day amongst our male runners. Richard SHUTTLEWORTH of Prestwich AC was third over the line in 17:24. 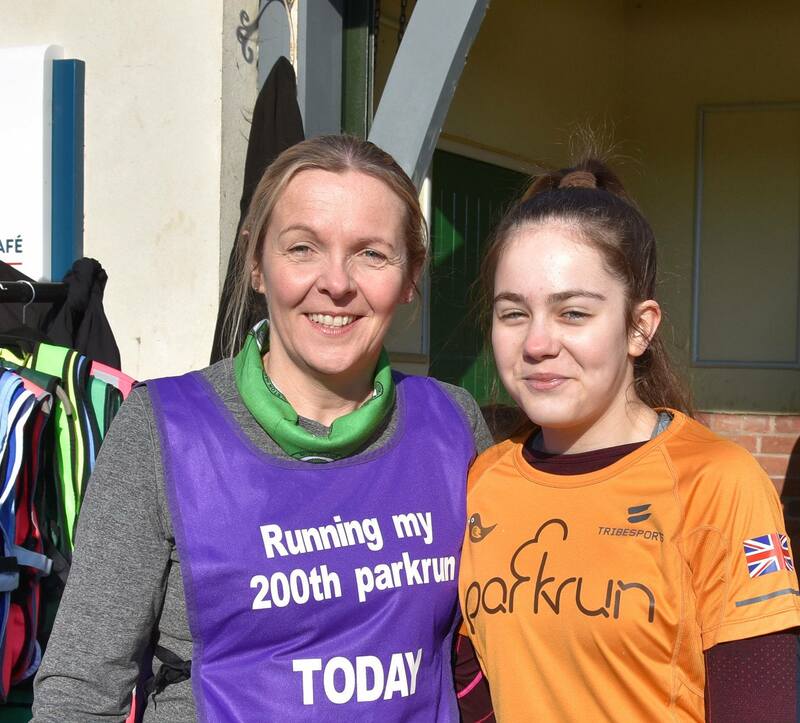 Sarah THOMAS celebrated her selection as our February parkrunner of the Month by crossing the line first in 20:01. Victoria OSTEN was next in 21:19, with Karen FLEMING clocking 22:00 in her 270th appearance. Sheila JONES just shaded Byron for the best age-grading of the day with 85.69% for her time of 23:18. 150th run - Chris KOBYLECKI first ran in March 2010 and has clocked up 147 appearances at Heaton with 15 PBs. His other 3 runs have all been at Clumber Park. There were 58 names on the roster this week and considerably less wet weather clothing required. A big thank you to everybody who helped out and especially to Nigel HOLMES who qualified for his purple Volunteer shirt by completing his 25th stint. 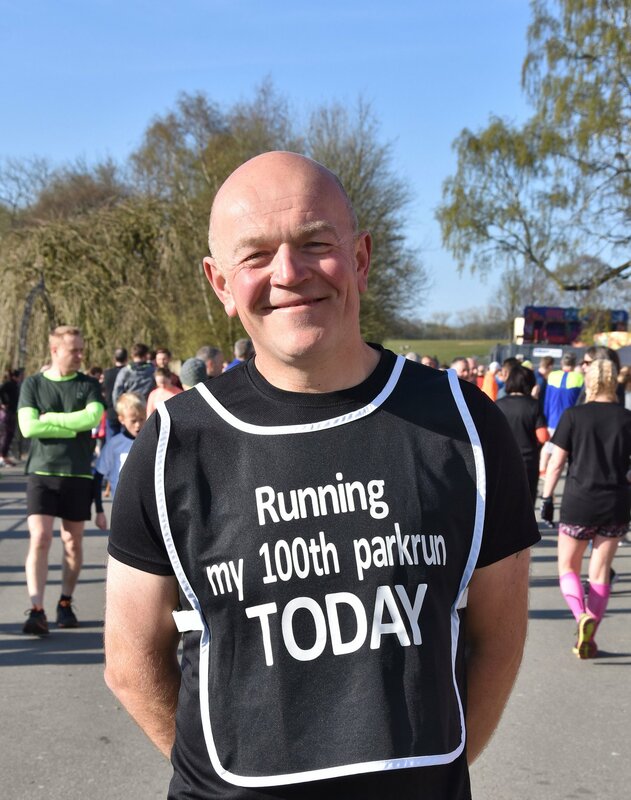 Nigel has been involved with Heaton parkrun since April 2010, having run 129 times with us, and has taken on the duties of Marshal, Barcode Scanner, Pacer, VI Guide and Funnel Manager. 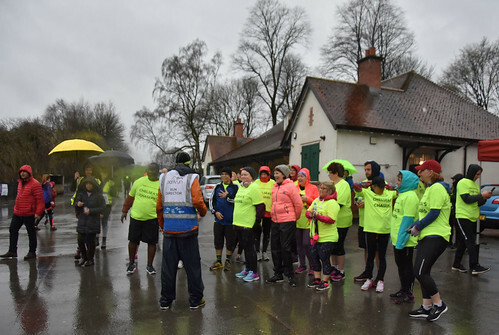 If you would like to help out as a volunteer at Heaton parkrun please send an email to heatonhelpers@parkrun.com to offer your services. 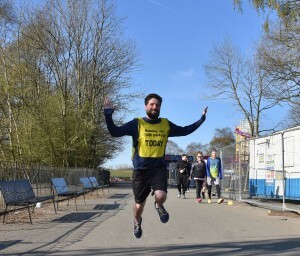 This Saturday will be our last parkrun before the clocks go forward but then we are cancelled on Saturday 6th April because of another event in the park. 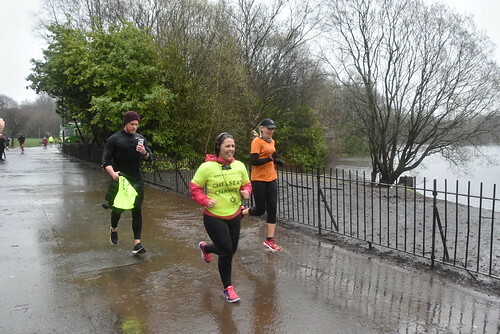 That gives you plenty of opportunity to try out other parkruns and, on a positive note, I can tell you that we have now completed our first ever 12 month period without any weather related cancellations. We just keep going, whatever is thrown at us!! That's all for now. See you at the lake on Saturday. 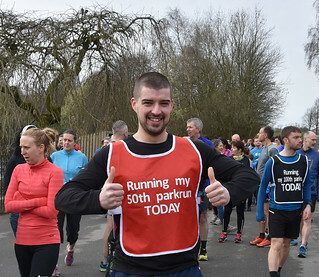 The 450th version of Heaton parkrun turned out to be one of the most memorable for various reasons. 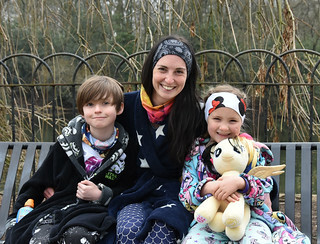 First of all, we were being broadcast live by BBC Radio Manchester as they followed the fortunes of their listeners who had signed up to complete a Couch to 5K challenge with presenter Chelsea Norris. 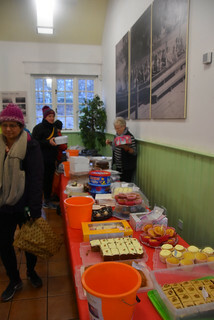 Then there was the accompanying Cake Sale, where you good folk raised an astonishing amount of cash to help the fundraising for Jim's Bench. 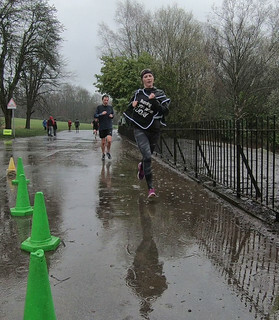 But mostly it will be remembered for the amount of rain which fell, turning parts of the course into mini reservoirs. Amazingly, high spirits prevailed and almost everybody declared it one of their most enjoyable ever Saturday mornings in the park. 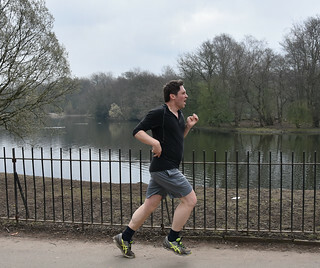 Anticipation for the arrival of Chelsea's Chasers had been building up ever since the announcement that their 9 week programme would culminate with a 5K parkrun at Heaton Park. 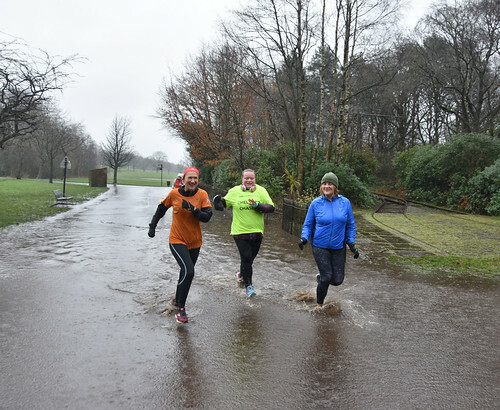 On a morning when the weather deterred many a seasoned parkrunner, it was to the credit of these novices that they pressed on, put a very soggy best foot forward, and completed a significant achievement on their journey to improved fitness. Some of their stories were truly inspirational. 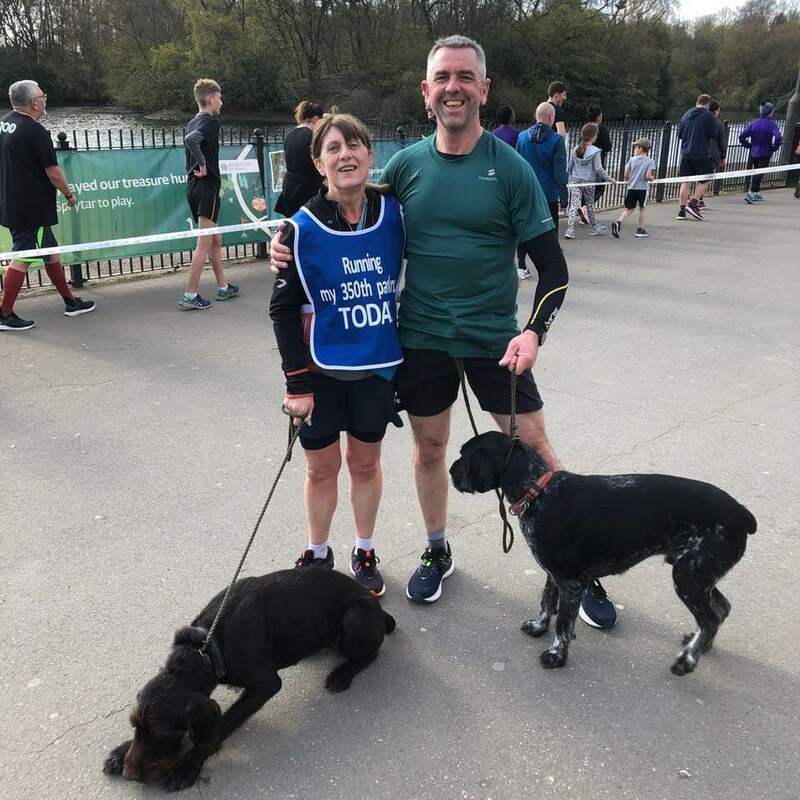 We're delighted that they chose Heaton as the venue for their first 5K and, on a personal note, I'd also like to thank those of you who volunteered as "running buddies" to provide support and reassurance. You were all greatly appreciated. Inspirational is also the word that accompanies our memories of Jim Smith. Our fundraising has been going well for a bench in the park as a memorial to Jim, but it moved to another level with Saturday's cake sale. Superbly organised by Jenn BARLOW, ably assisted by many others, the mouth watering spread proved irresistible as we raised the staggering sum of £728 on the day. With the online donations and other amounts already received we have now passed the £1500 target which we set for the bench's purchase and installation. We will go ahead with the Quiz Night which we've planned for Saturday 4th May at Prestwich Cricket Club, with the additional funds raised going towards a maintenance fund for the bench and other charitable donations in line with Jim's wishes at the time of his death. Thank you all for your incredible generosity so far. 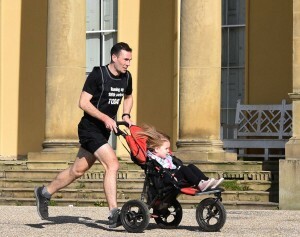 In amongst everything else there was a regular parkrun last Saturday. 619 people crossed the finish line, a huge drop from the 1001 of two weeks previously, but hardly surprising given the weather. 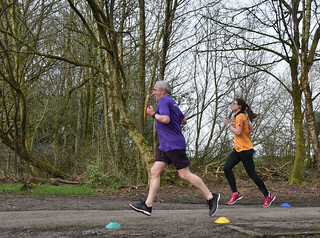 Our 45 parkrun debutants were largely drawn from Chelsea's Chasers and another Couch to 5K group organised by Prestwich Athletic Club - congratulations to all of them. 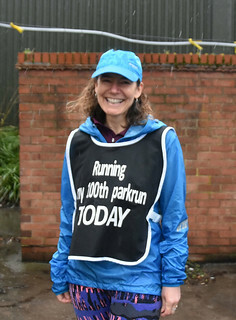 There were 38 first time visitors and my eye was drawn to 100 Clubber Kerry Anne HARWOOD who, appropriately in the conditions, was representing UK Mudd Queens, a club that specialises in taking on Obstacle Course Races. 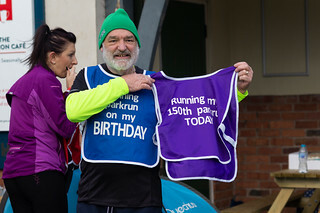 150th run - Trevor BROWN reached the 150 run mark this week with his 138th outing at Heaton. 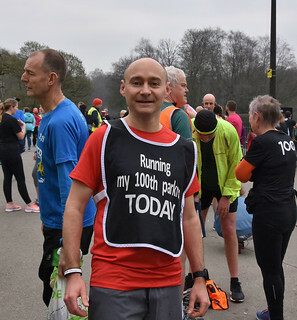 The first was in February 2015 and he has 12 PBs to his name, as well as visits to Worsley Woods, Watergrove, Bolton and Lanhydrock. 350th run - the first of Jennifer HATCH's 19 visits to Heaton came in October 2011. She has made 208 appearances at her home run South Manchester plus visits to 41 other locations as well. 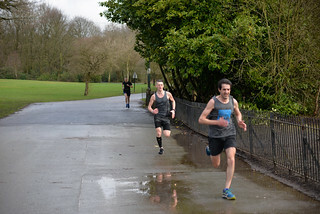 Bury AC claimed the first three places this week. Splashing over the line first was Byron EDWARDS in 16:33, with his time also earning the highest age grade of the day of 85.70%. Josh BIRMINGHAM was next in 16:40, a 1:16 improvement on his previous best at Heaton, with Luke HARRELD completing the Bury clean sweep in 16:42. Nicola SQUIRES of Hallamshire Harriers marked her first visit to Heaton with a first female finisher place in 19:29. Katie GEELAN of Bury AC was next home in 21:06, with Jennifer HATCH completing the top three in 21:43. 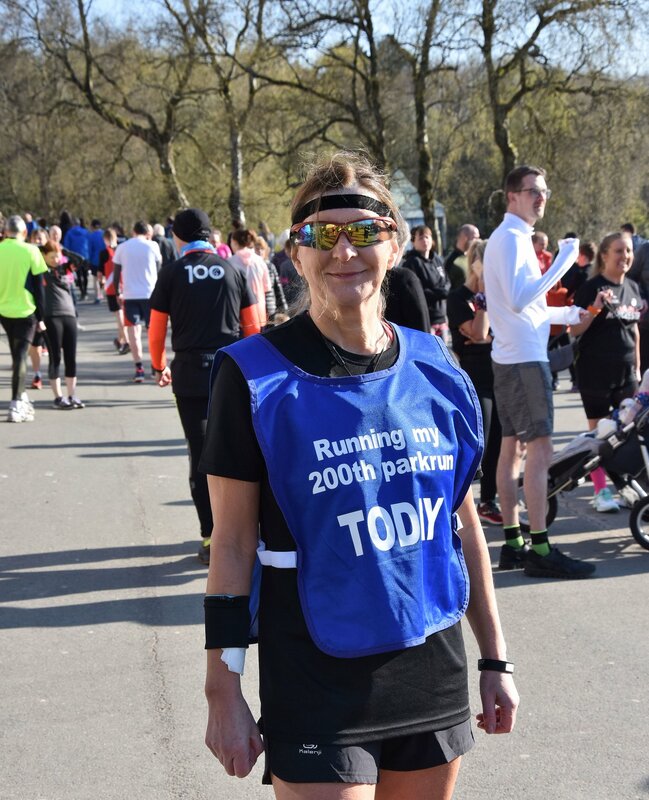 Christine ECKERSLEY of Middleton Harriers recorded the highest female age grading, with the VW70-74 runner's time of 28:26 earning a mark of 82.36%. We had 81 names on the volunteer roster this week, including all those who signed up as "running buddies". Massive thanks to everybody who helped in all sorts of ways to make this one of our best ever weeks. 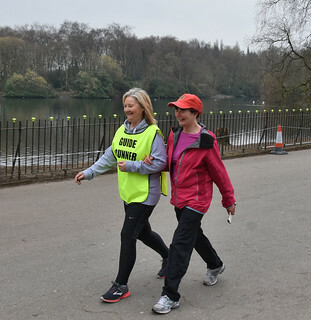 We should be returning to something a little nearer normality this week, but we still need your help so send an email to heatonhelpers@parkrun.com if you would like to volunteer. 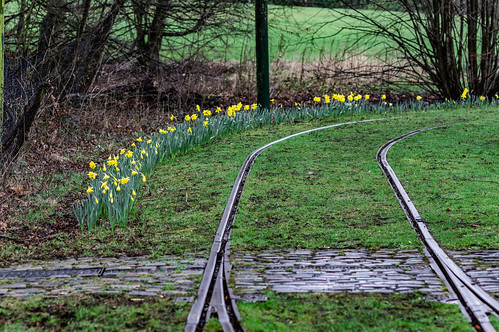 Don't forget we will be cancelled on 6th April because of another event in the park. That's all for now. See you at the lake. 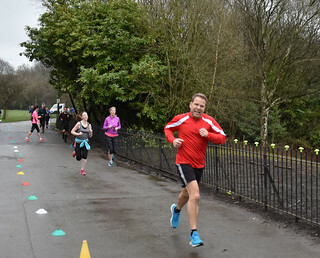 After the previous weekend's record-breaking excitement things returned to something much nearer normality on a breezy morning at Heaton parkrun. Our attendance was down by over 300, PBs down by almost 100 and our gazebo very nearly blown into the lake! It was good to have a breather, though, as we have a very busy Saturday coming up. Our thanks go to the 55 people whose names appeared on our volunteer roster this week, especially those who braved the elements out on the course. 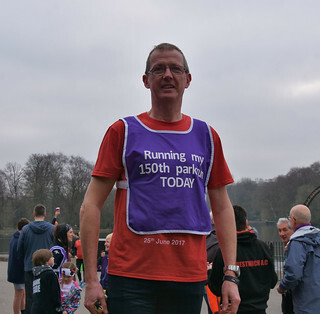 Special congratulations go to Stuart SMITH who volunteered for the 25th time and qualifies for his purple 25 shirt. 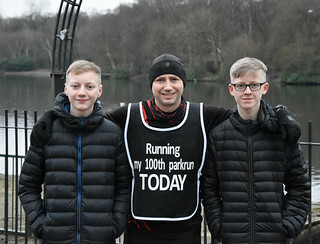 Stuart, along with his lads Sam and Adam, has become a regular part of our early morning set up team and has also covered the roles of Tail Runner, Pacer and Marshal. If you would like to help out at Heaton parkrun please email to heatonhelpers@parkrun.com and we'd be delighted to have you along for the fun. Our overall numbers were well down, but we welcomed 28 brand new parkrunners, exactly the same figure as the previous week. Thanks very much for joining us at Heaton for the first time and we hope you'll be back for more. 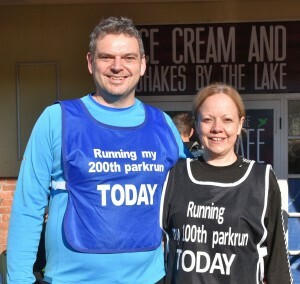 There were also 29 first time visitors from other parkrun events. 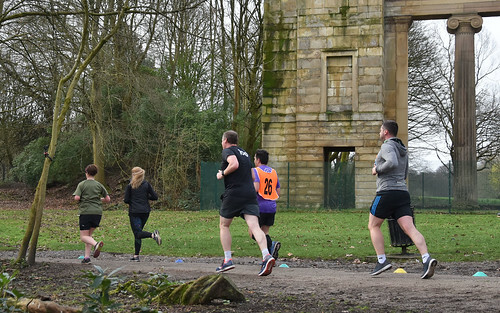 We also welcomed the Army to Heaton parkrun. Well, not all of them, but members of 75 Royal Engineer Regiment who were in the park doing some community outreach work. 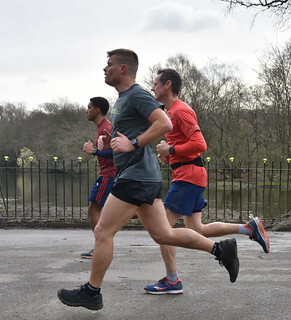 Regular parkrunner Lou MALONE is a member of the Army reserve and was on hand with his colleagues to give support and encouragement. Look out for them again soon! 150th run - this week we have 3 runners celebrating the 150 milestone who all started their parkrunning at Heaton in November 2014. After the past three congested weeks, PB Corner has acres of space this time with just two occupants! 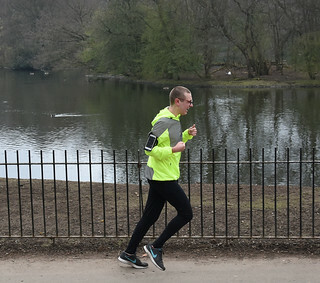 There were 65 new Personal Best times overall, but only 2 of them went to runners with 20 or more appearances at Heaton, which is the qualifying criteria for a mention here. and to Nicola RICHARDS, who returned for her first run since Christmas Eve 2016 and beat her previous best by just 1 second! Will you be filling up PB Corner next time? Give it your best shot. 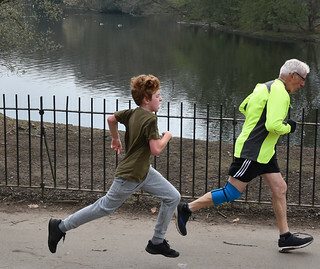 First finisher of our 695 parkrunners was Christopher MERCHANT of Rochdale Harriers, whose time of 17:54 also earned him the highest male age-grading of the day with 79.24%. 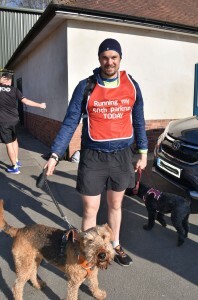 Joseph WALLER of Rossendale Harriers was next over the line in 18:04, with Chris McCARTHY (below) earning his highest ever finishing position in 193 runs at Heaton as he took third place in 18:33. Sarah THOMAS was first female over the line in 20:31, followed by Victoria OSTEN in 22:16 and Karen FLEMING in in 22:27. Christine ECKERSLEY (VW70-74) earned the highest age-grading of the day as the Middleton Harrier scored 83.14% for her time of 28:10. We will be cancelled on Saturday 6th April because of another event in the park. 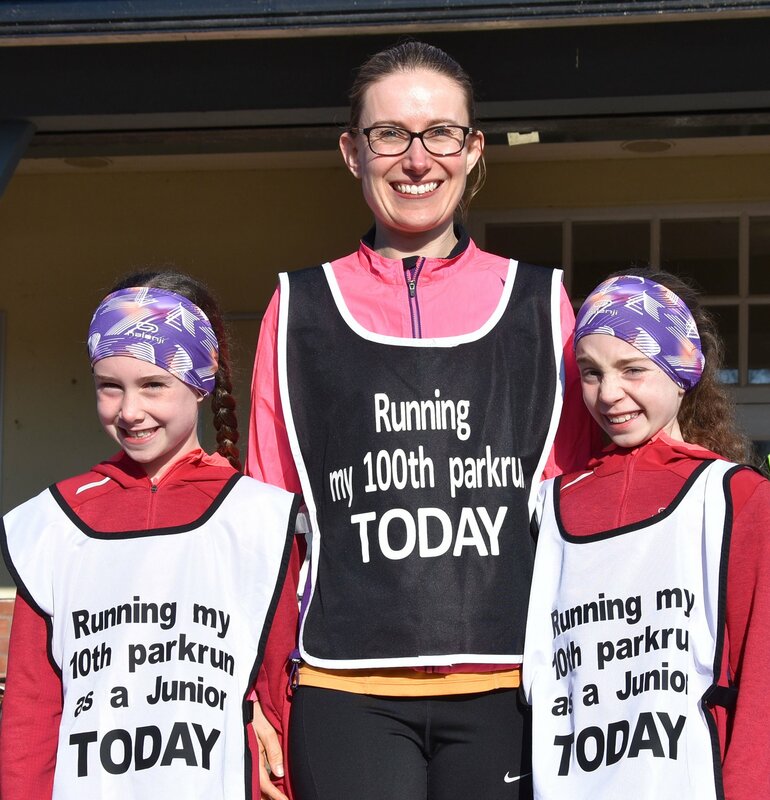 Please take the opportunity to visit one of the other parkruns in the area. 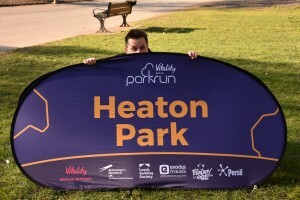 This Saturday will be our 450th parkrun at Heaton Park and it's going to be busy so let's keep our fingers crossed that the weather isn't too bad and we can all have a great time. First of all, we have BBC Radio Manchester broadcasting from Heaton parkrun, with Phil Trow presenting his show live from 9am to 12 noon. This ties in with the culmination of the Couch to 5K challenge which listeners to the Chelsea Norris breakfast show have been undertaking. "Chelsea's Chasers" will be out in force as they take on 5K for the first time, so let's give them a really warm parkrun welcome. Anybody else who wants to offer their help on the day will be more than welcome. 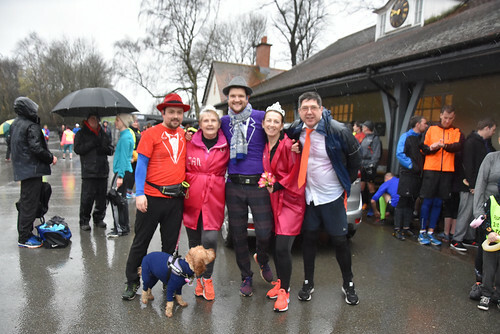 We will also be playing host to another Couch to 5K graduation which has been organised by members from Prestwich Athletic Club, so let's look out for them and give lots of encouragement to them as well. And there should be plenty of cake to celebrate all the new 5K runners as we are holding a Cake Sale as part of the fundraising for Jim's Bench. 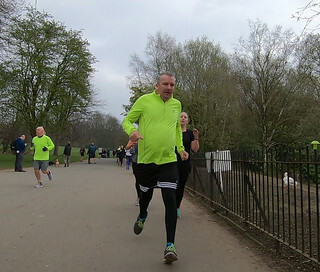 Jim SMITH was a very special person who encouraged and inspired many Heaton parkrunners of all ages and abilities. It will be a fitting tribute to Jim when we dedicate a bench in the park to his memory, so please support our efforts by bringing cakes to sell or by buying some of the tasty offerings. Thank you to Jenn BARLOW for organising the sale. There will be a further fundraising event for Jim's Bench on Saturday 4th May when we will be holding a Quiz Night at Prestwich Cricket Club. Starting at 7pm, the Quiz will be a fun night for all with teams of up to 6 people costing £10. There will be also be a raffle and any contributions of prizes will be gratefully received. Thank you to everybody who has already donated. We are well on the way to reaching our £1500 target. OK, that's all for now. Time to get ready for a busy parkrunday on Saturday. See you all at the lake.